Jesse Alston is a contributor to Writers on the Range, the opinion service of High Country News. He writes on environmental and policy issues and lives in Laramie, Wyoming. Western states that power their economies on fossil fuels need to start getting real. It’s been a long and lucrative ride, but the age of fossil fuels is ending, and failure to plan for a realistic future is going to have severe repercussions for folks across the West. The evidence is clear and mounting that the coal bust this time is radically different from its predecessors. Since 2010, over half of U.S. coal power plants — 268 out of 530 — have announced retirement, with 27 announcements coming in 2017 alone. A decade ago, coal produced 48.5 percent of U.S. electricity. In 2016, it produced just 30.4 percent. And even as new plants announce retirement, on average, every two weeks, only one U.S. coal plant is currently under construction. It will power a single university in Alaska. Coal’s prospects abroad are little better. The European Union last year approved stricter pollution controls that could lead to one-third of its coal plants closing by 2021. Britain plans to close all of its coal plants by 2025. India is mothballing coal-plant plans at a breakneck pace, and coal use in China is largely leveling off as the nation’s government tries to combat politically untenable pollution problems. Even if foreign coal demand holds steady, U.S. producers will have trouble exporting it from coal-loathing Pacific Coast states or a British Columbia angry about lumber tariffs. The export outlook is grim. Petroleum and natural gas should heed these clear warning signs. Both fuels have stable near-term outlooks, but scientists warn that net greenhouse gas emissions must reach zero before 2050 to avert catastrophic climate change. Country-wide bans on gas-powered vehicle sales are set to begin in Europe as early as 2025, electric vehicles seem poised to take off worldwide even sooner, and leading U.S. Democrats have introduced a bill to convert the entire electrical sector in this country to carbon-free sources by 2050. The coal-powered Craig Power Station in Moffat County, Colorado. While these major changes may be years away from reducing demand for oil and natural gas as rapidly and dramatically as coal has declined, it’s foolish to believe demand will last forever. Like coal, these fuels could also fade faster than anyone predicts. Forward-looking utilities like Colorado’s Xcel Energy and Des Moines-based MidAmerican Energy are already finding that switching to renewables saves money for customers. Despite this drumroll of bad news for fossil fuels, some Western politicians continue to hide their heads in the sand. Wyoming Republican Gov. Matt Mead has repeatedly promised to “double down” on coal. New Mexico Republican Gov. Susana Martinez’s “all of the above” energy plan was rolled out two years ago at an event headlined by oil baron T. Boone Pickens. Even Democrats can’t escape the fever. Montana Democratic Gov. Steve Bullock told an industry group in October that he expects fossil fuels to play a major role in Montana for decades. 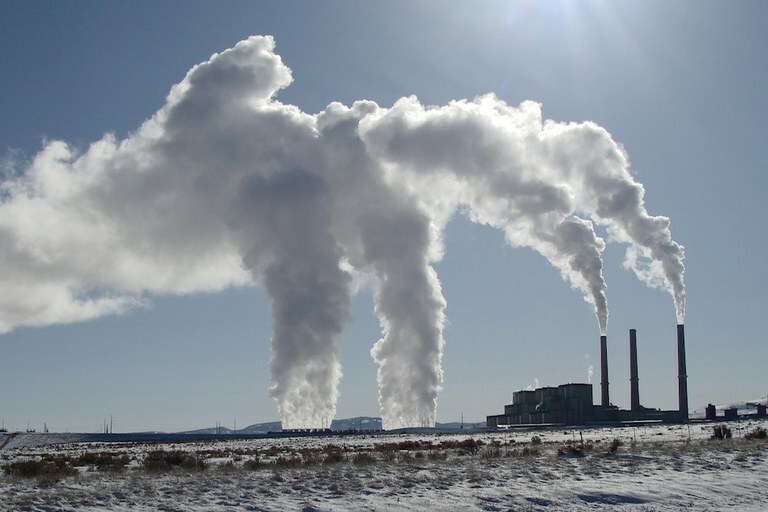 But even though coal is still the state’s most significant fossil fuel, three-quarters of the plants that burned Montana coal in 2012 are scheduled to retire by 2030. This willful ignorance will lead to big problems. Journalists constantly report on what the decline of fossil fuels will mean for jobs and local communities, but the impact will be even greater because so many Western states depend on fossil fuels for substantial parts of their state budgets. Royalties from fossil fuel extraction on federal land in the West sent about $1.3 billion into state coffers in 2016 alone — and that doesn’t include severance taxes and royalties from extraction on state lands, which are even bigger. This isn’t solely a future issue. Wyoming, Montana and Alaska are already seeing big budget holes from the decline in oil and coal prices. Teachers, doctors, police departments and children in towns across the West bear the brunt of those cuts. Western states need to plan for a future in which we are no longer able to pad our budgets with free money vacuumed up from underground. We need to have a realistic conversation about which government services we’re willing to finance with new taxes, and which ones we’re not. Western states have a relatively easy path to building a better future, if appropriate measures are taken soon. We have low taxes, relatively strong and popular state governments, cash stocked away in mineral-funded accounts, and enough time to adjust our course before truly tough times hit. But unless we use those advantages to plan for the future starting now, we will surely face a crisis when the flow of mineral money trickles to a halt.